Home > Foodie > Cakes in Your Coffee? Why Not! Our favorite dessert is best paired with coffee. Cheesecake, red velvet, and mocha cake are just some of our favorites. How about cake in your coffee? Mr. Seats For Two wants his cake chilled or frozen. The wifey prefers it as it is but served with hot coffee. What a delight when these two served in one beverage. Nothing can be as satisfying as those ice-blended drinks that are rich and luscious, with flavours that are inspired by popular cakes. 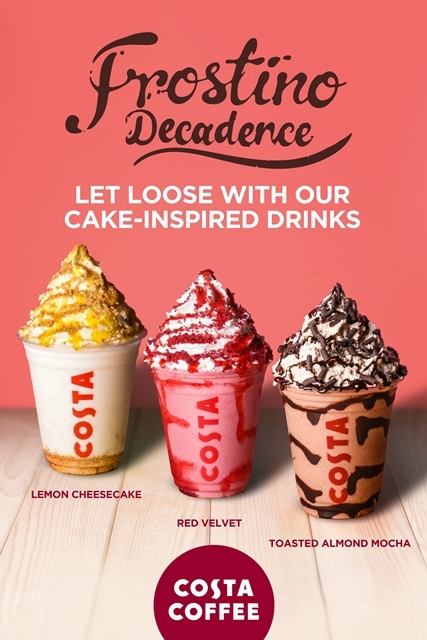 Yes, Costa Coffee is proud to announce its newest menu addition called “Frostino Decadence” available in all stores. These new Frostinos will give your taste buds a party like no other. The new Costa Coffee Frostinos are served with layers of cream, delicious sauces and sumptuous toppings. Mocha lovers will surely love the Costa Coffee’s twist on the classic mocha cake with the Toasted Almond Mocha Frostino with the nutty taste of almonds. Looking for rich and velvety drink? Then the new Red Velvet Frostino might be the one for you. Lastly, the Lemon Cheesecake Frostino has the perfect blend of sweet and sour, keeping the taste of summer alive during the rainy season. 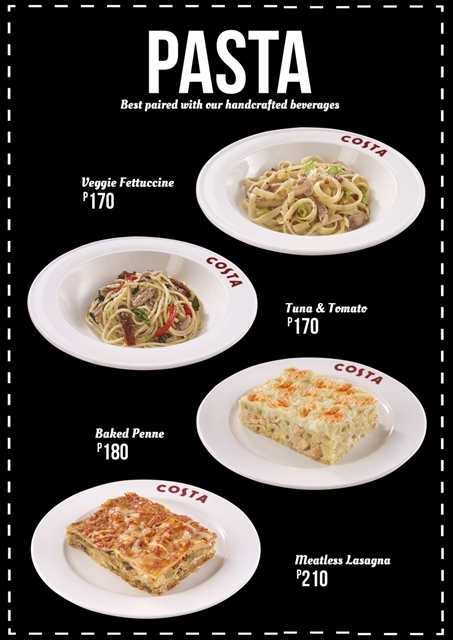 Costa Coffee Frostinos are best paired with sandwiches or pasta dishes. If you’re craving for some light and healthy dish, try the Vegan Fettucine. Tossed with fresh asparagus and mushrooms in olive oil or Meatless Lasagna of zucchini, eggplant and creamy ricotta cheese sauce. How about some Tuna & Tomato cooked in tuna flakes, sun dried tomatoes, bell pepper in olive oil. Another delicious alternative is the Baked Penne with chicken breast in creamy cheddar cheese sauce). For only Php 250, enjoy the pasta of your choice with any Primo size coffee (Americano, Latte, Cappucino, Mocha and Caffe Caramella). Costa Coffee have branches located at Robinsons Galleria, Robinsons Place Manila, Robinsons Place Antipolo, Robinsons Metro East, Robinsons Supermarket, Robinsons Galleria, Robinsons Supermarket, Robinsons Place Manila; Robinsons Selections, Venice Grand Canal, Robinsons Equitable Tower, Robinsons Summit Center, Cyber Sigma, McKinley West, Tera Tower, Bridgetown, Citywalk 1, Eastwood, U.P. 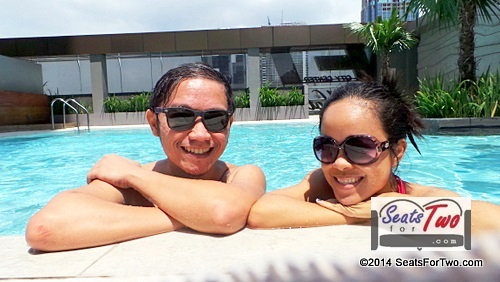 Town Center, The Block, SM North Edsa, SM City Manila, Cebu Pacific Air Building & Robinsons Cybergate. For more updates, you may visit Costa Coffee Ph page.